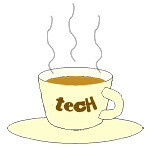 France « Tech bytes for tea? 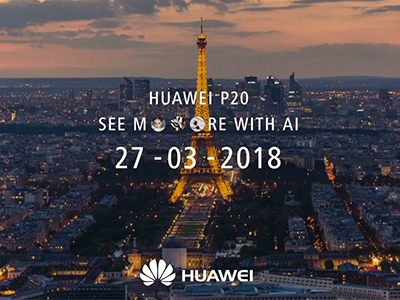 Huawei has sent out invitations to the launch on 27 March, 2018 in Paris, France. Would be interesting to see how Huawei leverages AI in its next flagship Android smartphone. Huawei’s next flagship Android smartphone in its P-series lineup will be the P20. The launch in Paris, France will be one month after the MWC 2018 in February. The acquisition places Alcatel-Lucent Enterprise on a long term growth trajectory. The acquisition amounted to 202 million Euros in cash proceeds to Alcatel-Lucent. Matthieu Destot, Vice-President of Sales for Asia Pacific (4th from right); Amit Bathla, Head of Marketing, APAC (first from right); celebrating the birth of their new company – together with their staff in Alcatel-Lucent Enterprise. Alcatel-Lucent (Euronext Paris and NYSE: ALU) has announced that it has successfully closed a transaction with China Huaxin Post & Telecommunication Economy Development Center (“China Huaxin”) for the divestment of its Enterprise division. “As a ‘new’ company our core mission is to help companies transform the way people communicate, harnessing capabilities offered by ever smarter devices and new use models. We see success as creating long term value and customer relevancy by delivering business outcome to customers and partners through technology and business innovations,” commented Michel Emelianoff, Chief Executive Officer, Alcatel-Lucent Enterprise. Following the divestment, Alcatel-Lucent will maintain a minority stake in a newly-formed holding company, incorporated in France. Alcatel-Lucent Enterprise will also continue to work with Alcatel-Lucent on a privileged business relationship basis. The transaction will now enable Alcatel-Lucent Enterprise to benefit from a strong and recognised investor, providing the means and resources necessary to strengthen its ambition including leadership positions in enterprise communications while accelerating investment in new areas of net growth. Alcatel-Lucent Enterprise will continue to invest and innovate in the core markets where it is already recognized as an undisputed leader, namely enterprise communications and networking – while exploring new market opportunities in select, high-growth countries, vertical solutions and cloud services.